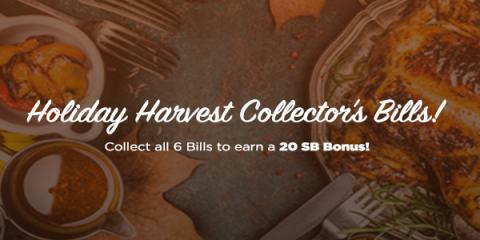 < November has arrived, and as we get deeper into the Holiday Season, Swagbucks is marking the occasions with Holiday Harvest Collector's Bills! Collector's Bills are special SB point values with designs that you win randomly while searching the web with Swagbucks' Yahoo-powered search engine. I love all of these Mr Food Cook Books! Following from my Alexa Hop. Thanks for linking up! :) Hope you'll stop back and leave a comment!